Please check this page regularly to find out what we have been doing, to look at photographs and enjoy browsing through the links below. 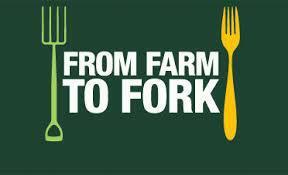 Our topic this half term is 'From farm to fork!' The children will be finding out all about where the food we eat comes from. Feel free to look at the topic web below to find out more. MyMaths.co.uk Complete your homework by clicking on this link. Topmarks Lots of fun games to develop your numeracy skills! National Geographic Kids Find out lots of interesting geography facts! BBC Bitesize Literacy Lots of fun games to help you develop your literacy skills! Phonicsplay.co.uk Lots of games to play to develop phonic skills. Choose your phase and have fun! Maths times tables games! Play games to learn your multiples and go on to learn your times tables! Oxford Reading Owl Find and online book and get reading! BBC Schools KS1 Geography Fun Develop your map skills and learn more about places in Great Britain!